None of Us’s Jump Scares Compare to the Evil Family’s SandalsThe horror! 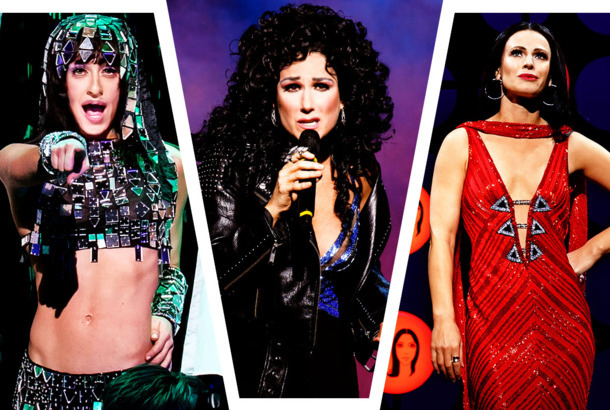 683 Costumes, 400 Quick Changes, One Wardrobe Team: Backstage at The Cher ShowThe show’s second set of choreography happens in the wings. The Stories Behind If Beale Street Could Talk’s Gorgeous CostumesBehind the scenes on Tish’s cream cape, Frank’s camel-toned leather jacket, Sharon’s metallic cocktail dress, and more. Oh, No! Here’s Emma Stone Describing Her Organs ‘Shifting’ in Favourite CorsetIf your insides are forced to move for a role, that should be an automatic nod right there. The Stories Behind Sorry to Bother You’s Technicolor CostumesThe movie’s costume designer talks Vulture through the wardrobes for the five main characters. The Painstaking Detail That Went Into Lauren Ambrose’s My Fair Lady HatThe costume designer and milliner had to create something that fit both an extravagant scene and Ambrose’s modernized reading of the character. 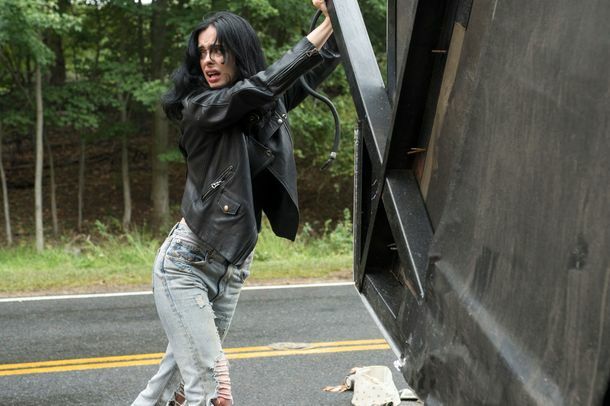 Everything You Ever Wanted to Know About Jessica Jones’s JeansCostume designer Liz Vastola walks us through Jessica’s looks in season two. 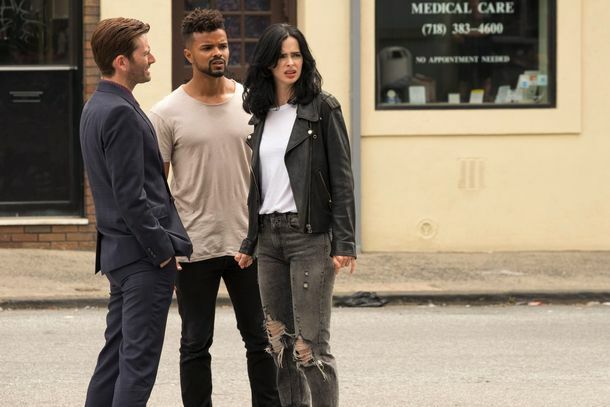 Why Does Jessica Jones Wear Those Terrible Jeans?Marvel’s favorite superpowered detective is back, and she still has exactly one pair of pants. Zac Efron Is Ridiculously Grimy in These Photos From Harmony Korine’s New MovieZac Efron, please take a shower. Golden Girls: The Post’s Caftan and Last Jedi’s Robe in ConversationThe season’s two standout costume pieces on working with Meryl, motion-capture acting, and the film industry. How to Turn Margot Robbie Into Tonya HardingTales from the set of I, Tonya include beer-soaked wigs, figure skaters in fat suits, and 96 separate costume changes. The Signature Looks of Riverdale’s Retro High-SchoolersThere’s a reason why they’re all inspired by the ‘40s, ‘50s, and ‘60s. Damien Chazelle, Give Claire Foy a Bigger Wig Budget!Claire Foy plays Neil Armstrong’s wife in Chazelle’s First Man. How Marvel’s The Defenders Designed Its Superhero CostumesThere’s an intricate story behind each character’s outfit. Gilmore Girls’ Costume Designer Breaks Down the Looks From the RevivalWhat is the deal with Emily’s T-shirt? 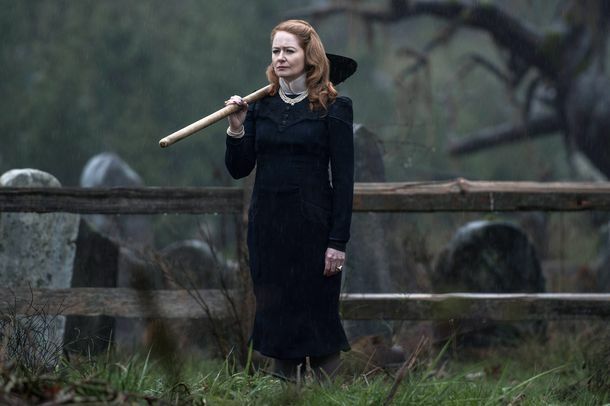 The Cloak Is the Best Character in Doctor StrangeObviously! See How Celebrities Dressed for 2016 HalloweenOn Halloweekend, they go wild. Conan Gets His Own Superhero Suit From Comic-ConFeel free to perv out. Which House Has the Coolest Armor on Game of Thrones?Not the Tyrells. Vulture TV Awards: The Year’s Best-Dressed CharactersBall gowns, tuxedos, and a well-dressed coven. The Best Costumes From the 2012 HallowMeme PartySo many binders, all full of women. 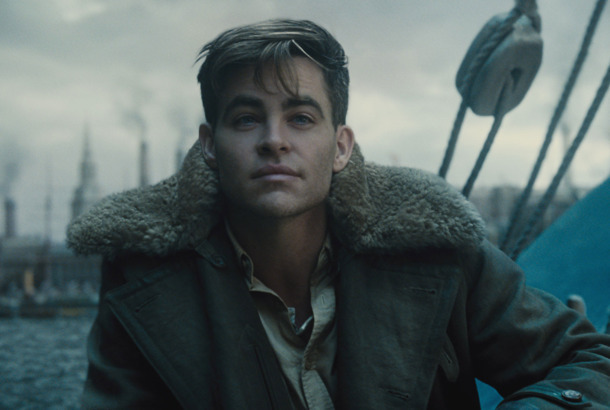 Check Out Some New Superman CostumesThose are … some, er, outlines, aren’t they? Ke$ha Claims She’s a ‘Praying Mantis’We get it, Ke$ha. Check Out Andrew Garfield in His Spider-Man SuitHe wears it well. See the Official Lady Gaga Halloween CostumesBecause there’s no need to make your own soda-can wig when you can just buy the official Adult Soda Can Wig.